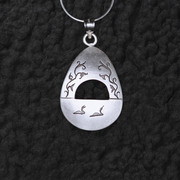 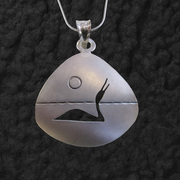 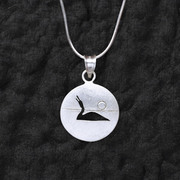 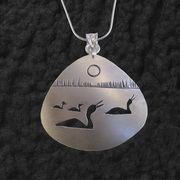 This beautiful necklace depicts a mother loon protecting her chick near their nest. 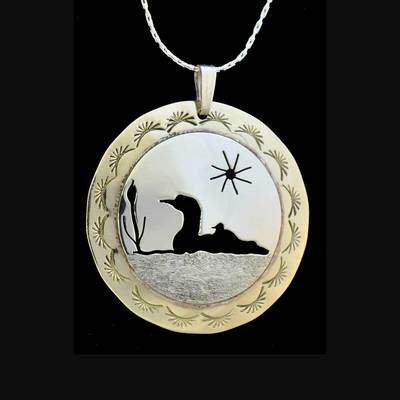 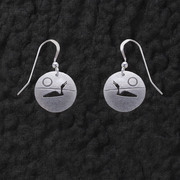 Carved from a sterling silver center pieces and soldered onto an engraved brass rim. 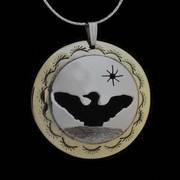 1 1/4" x 1 1/4"